Homage to a Poet, is one of the many paintings that Giorgione painted between 1506-1510 from when he was active to his death. This was one of the last paintings that he did before his death. 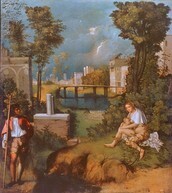 The Tempest also know as The Storm, was painted by Giorgione in 1508. The Tempest is a poem just showed through a painting. On the right side of the page there is a lady nursing her son, and on the bottom right hand side there is a guy, possibly a knight watching out for her and making sure she is safe. 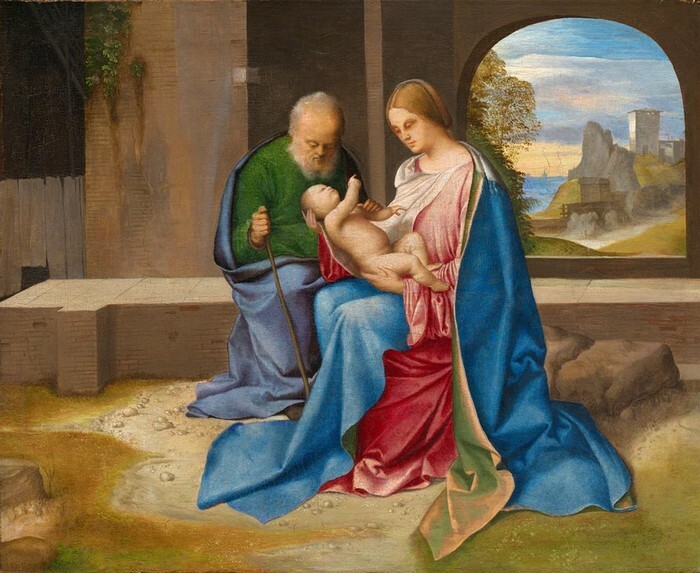 This painting The Holy Family is about him and his family and in how Giorgione came into this world. This was one of his first paintings he did. It was made around 1487 to 1488. 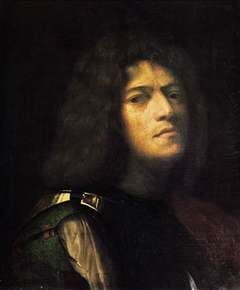 This painting was the first painting Giorgione had ever painted. This painting was made to remember the people that had died from the plague. In the back is supposably a Saint going and killing some kind of animal. 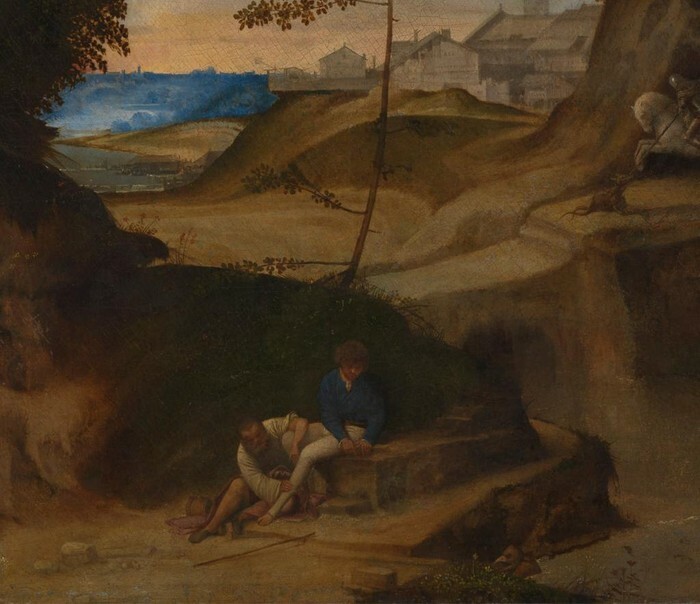 In the lower portion of the painting there is two people, it seems like one of them is either sick or hurt and the other one is going and trying to save them from dying. 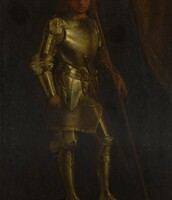 This painting resembles a Saint ready to go off to battle and defend his country. 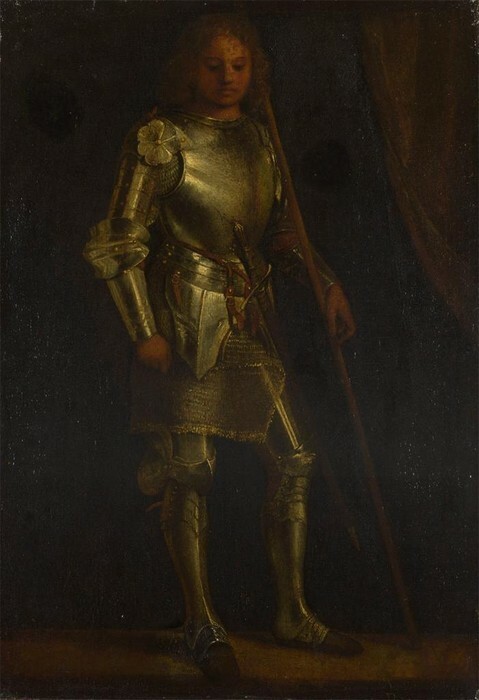 The knight is probably from his hometown of Castelfranco. The Adortion of the King was made between the years of 1506 and 1508 there is no exact date. 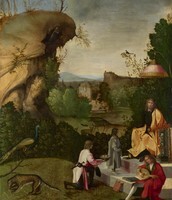 There are three people kneeling down, possibly the three kings. This painting is based around humanism, because it shows on how people are always there for one and another even though they might not like each other. This photo shows humanism by the two people at the bottom, and it looks like one of them is caring for the other one, even though he might be sick or injured.